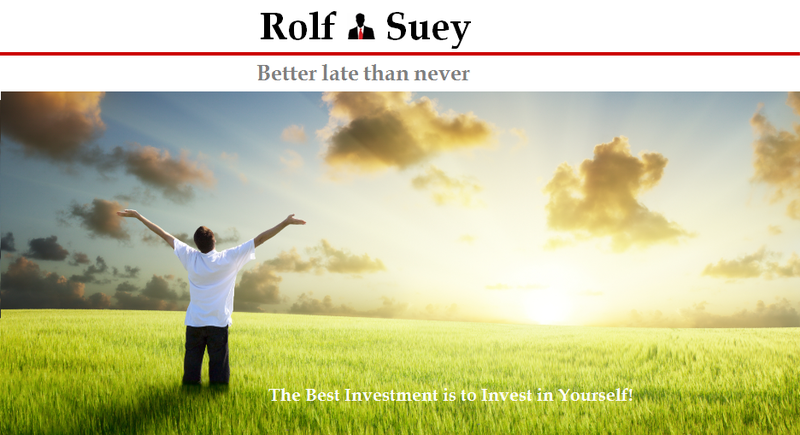 Rolf Suey - Better Late Than Never: Revisit the past – Should we buy into Banks and Oil and Gas stocks? Revisit the past – Should we buy into Banks and Oil and Gas stocks? I wrote the below posts several months to more than half year ago warning about the banks’ NPL and O&G stocks “not yet bottoming out” during a time when both sectors saw temporarily rebound or in a time when many think that the O&G had floored finally since the “Oil” pain started in late 2014. Is now the right time to dive into Oil and Gas stocks? Let’s hear from market sentiments! In fact aside from banking and oil problems, since last year, I had been preaching about the problems in the economy, spending huge amount of time and efforts researching and reading. And of course, writing and publishing here. Or perhaps it was due to me unluckily being in the O&G industry. Or maybe I will consider myself lucky to be in the distressed sector allowing me to see the impending troubles ahead of many others. Now everyone is talking about NPL, worst is yet to come…..haiz…. Anyway, the biggest news last one month is definitely the collapse of Swiber. Now everyone starts to probe into Bank’s NPLs’ provisions worrying that it was insufficient. Similarly probing into Keppel and Sembcorp Sete Brasil problems only now! So many people only talk when things already happened! This week, DBS reported that profit for 2Q this year declined 6% yoy. Provisions doubled and NPL jumped 31.1% yoy. "The whole sector is under stress. Let's start with that. I don't want to minimize the challenges faced by the sector. Even at the US$40-45 oil prices, many are cancelling contracts... so the sector is challenged and there will be some impact, "
"But there are some positives. In the last 6 weeks, a couple of the oil majors have started putting in investments. Many people's view is that oil prices firmed up to the US$50-60 level over the next 12 months... but that's looking into the future, we don't know (for sure),"
Furthermore, DBS's oil and gas exposure up by another S$1B. Other banks are not so better off either although, DBS's S$23B exposure to the sector is bigger than UOB 14B and OCBC 12.6B! Warnings about Banks’ NPL? Isn’t that something that was already highlighted here in January this year? In January when I wrote/talked about the bank’s NPL, I cannot remember a single soul whether blog readers or friends outside that openly shared the same sentiment as me. The only blogger reader who acknowledged was “temperament”, if you refer back to the comments. There are some retail investors hurt very badly. Then there are those who preached to buy openly. They did also bought in, but later sensing the problems much earlier than the rest, they are always the first to “sell the shares first”! This is similarly to me telling my colleagues in 2015 about the impending retrenchment crisis in the O&G industry, but none wanted to hear. I remember only one colleague out of close to ten I spoke to acknowledge the truth and was thankful to hear. Coincidently, all the rest were retrenched leaving only two of us still standing in the company within our department. Sometimes it is really ironic in human lives. I am not specifically referring to this example here. But in general, when somehow the truth has been told much earlier, no one will heed the advice. Yes no one. Neither will anyone who secretly heeds the advice, willing to openly acknowledge the sharer, nor shares with people around them. Credit is always myself…yeah feels good. Problem is always others…yeah blames you. Is that us? Is this the world today? Perhaps, it is “you are just heng” to be correct. Mind you, this is also not about glorifying myself saying how accurate my predictions are. I seriously do not care about all these glorifies. It brings me no happiness or feels good factor. It is more sadness for me to see majority of people's reactions today. In effect, the Truth is always reasonable and make sense and not so difficult to comprehend. It is really not so much about “heng or suay” speculating or punting. It is about if we are blinded by ignorance, emotions or greed when we are listening? If we are not blinded, it is easy to see the truth. Finally please…. all these research, reading, writing and publishing here is more for interest, good of readers (if they appreciate) and for my future use to my kids. It is NEVER for greed. Contrary to what many sceptics think that bloggers only want people to “click their blogs” to earn ads’ money, in fact, I had today NOT MAKE A SINGLE CENT from this blog. Instead I even wasted money in subscribing to some domain hosting company. I do not have Google Ads, and never written an Advertisement post (although was asked many times) and only has nuffnang which I do not even know how to cash out the meagre amount not sufficient to even cover my hosting costs. So there you go the UGLY side of human beings yet again. Please, I am not roaring because I am affected by some emotional issues. Again evil human thought who cannot believe there are people who like to share the good without any agenda. Anyway, it is just something straight out of my heart and for the people I cared whom I spoke to recently who are reading here. Anyway it is a great Saturday for me, because Joseph School just did Singapore proud by winning an Olympic Gold Medal this morning. I specifically wake up early to watch the race. Was looking at swiber 2 years back in 2014(that was the time when the price falls tremendously), what startled me was the high bank borrowings and loans then. Then came your "oily" articles (along with lp and investment moats) which probes more into the industry, which further affirms my view. Your articles are one of the few that are contents enriching. I believe that there are other "silent" readers like me who had benefited very much from your articles. I am thankful for your comment. The point I am trying to make is unexpected things normally we think it will not happen (like in he past) can happened nowadays if u "open ur mind n eyes!" And there is huge element of truth n not just doomsayer for the sake of doomsayer! So many people are talking about oil and gas debts. How about property or even the world's debts? We tend to overlook thinking that it is an unbreakable. oil crisis is unique this time, because this is the worst ever (longest also). Never have once so bad before if we look all the way back. I checked with those in their 60s in my industry, all acknowledged. For me, I m happy that learning about stock lead to another then another and eventually "life is not about stock and invest and profit." There are more to it and that is what I benefited most. Yes agree to back to basic, consumption, transport healthcare etc, but that is what all others know already know also. Hence valuation is still relatively high now. This we need bottom up! Also our overall portfolio creation, stocks, bonds, cash, metals can be more impt. Out of topic abit, I think some stocks you are "eyeing", I'm "eyeing" too. For eg: captiR China trust. About money from blog, I have Adsense, so proud of it, and if one day I can earn decent peanuts will be very happy. but sama sama. I am just hoping it will be like credit card rewards. one year money for 1 or 2 free meals? I aim low, but still cannot achieve. I say what I want, do what I want in good conscious, if anyone benefited, good, I hope to go heaven, you know. But if anyone did not believe, or got worse-off, I will only say "I am sorry"
No, because aside from caring, this is a library for my children. This I repeated several times before, but most people when reading still usually will think from their own perspectives only. I am not a bleeding heart (borrowed from Jared), just that ever since I learn how to "do good" more often esp with lots of my friends around, lots of good things have been happening to me. So in blogosphere is only secondary. And personally the feel good factor is very high and never been so happy before in my life. As for Adsense, the truth is I m not qualified. Never try again recently. hahaha... So I envy u guys. Frankly I think for rest of u guys earning from blog is good, but for me, i have no intention here at least for now. When our blog are read by many people we personally know them e.g. colleagues, friends, close friends, relatives, and family members, our writing have to be true to our hearts and no wayang. Trufully, I am very grateful for u, temperament, SMOL, LP n many others that I have learn a great deal from here since I started blogging. Yes, no wayang n that is why my respect here for u guys is also no wayang! Thanks for the good phrase "一种米,养百人"
Anyway please do not mistaken that this crazy RS is liken a cult "as if trying" to force people into believing something which I am not. So far, I always respect everyone's entitlement to their opinions like SI mentioned. I myself use to be in the same position. It may not be immediate digestion n absorption, but maybe some day, when one day in future, it struck that what was said before maybe actually useful. The same happened to me bcos in the past many things I do not think so, when my ex-bosses told me before from their heart n experiences. Now after many years later, I finally understood n remember what they said before n become useful to me now and I am extremely grateful to them. i am almost going to turn bullish on sg stocks. maybe a few weeks more. really underpriced. not undervalued like what B said but underpriced. When u say that, then we better take note! This is because I know what u say always supported by the profound research n knowledge u have done/and have respectively. lol nobody knows nothing about the future. we only have strong opinions weakly held. even you tell your friends or colleagues that oil crisis is here and retrehcnment may happen soon? so any help to them? just like a day, i went to ask my doctor. am i going to start dialysis soon? she replied to me, not yet. well, my August result did show a slight improvement. and i feel i am better and healthier than the previous months. so sometime, i also wondering. if the truth hurt？ then even we tell the trust, it also cant help anything but to create panic only. then we still do? U r one person, I am always worry to tell u directly the truth bcos of the circumstances. The truth hurts yes "to some", but unlike what u say, it definitely is not to create panic. And not like what u mention useless. It depends on how a person is receptive to it. There r so many things a person can do when he/she knows early. To be honest, I already drafted a very long reply to answer u, all the things a person can do if he/she knows early and be protected mentally and still feel happy even with the big axe. It was definitely not meant to creat panic as in all my previous articles, I always already what we can do EARLY with actions and examples. i am not ignorance and didn know my kidney will fail one day. i am not ignorance and greed to want anyhow punt for oil and gas and bank stock. i knew what i am doing. i knew well for my health and my investment. so, i think it is not the people around you not to listen or not to take it seriously your advice. in fact, there is many reasons behind just that you may not know. Yeh, all I can say is u r not the first person I know with problems/illness...I also know many people with even more serious problems in life. A frd of mine in brain stroke still bed-ridden with a housewife n daugther. And everyone has their own reasons, it is frankly not as if I do not know. I myself do have my own experience of lots of problems. But what I trying to convey here is the whole point is not who is more "jialat". that is not impt. It's about how we want to accept and pull ourselve thru.. Sickness n illness as I personally experienced n I seen in many others as well, are a consequence of our own character also. I do respect ur opinions/comments but Sorry... I cannot lie to myself here n just admit to u that u r right! And u may say my heart is frozen, but it is not..
by the way, it seriously does not matter to me if I know what are the reasons behind, bcos ultimately it is u urself who need to understand ur own problems/reasons n find ways to solve it. All I can say is u may read this article with ur own perspective. But what I can say is I wrote this for my family and friends who are reading and they have told me that they benefited from it! I am sorry once again for ur problems. But last n most impt advice : ultimately only u can solve ur own problems not even ur loved one around u. Well, we respect your opinion and advises. But if you think deeply. Sometime the way you write here a bit subjective and also with a commanding tone. Last time I was like you, sometime I do subjective and didn think of others people shoes. I do admit I always think that I am right and want the best for my family and friends. Just for example, I always think my pupils who didn't get good result simply because they are lazy. But then in fact not they lazy and didn't study. They studied very hard but just can't remember and also can't score well. Many time while you said I am weak and many many. In fact in real life I work very hard. I still doing full time job and then do give little tuition and do the best for my life. But you just simply criticised me with commanding tone. Sorry if I sound offensive. I am just sharing what I feel while sometime I read your blog. But in fact, you are knowledgeable and provide a lot information for the readers. Thank you! I give up! Words written is not as strong as spoken. I am sorry. U r not offensive at all, just emotional. But I am sure that is bcos my article strikes the truth within many people's inner self deep down of a person which is hardly explored, hence it is emotional. that commanding tone of me has died long ago. people around me know is more impt, u can say whatever u want. U hardly knows me, Not fair to compare with my cousin. I did not compare u with my friends/ex-boss but just citing examples to compare the situations. It happens to me n wife. I told her that when a man tries to reason n logic n truth n specific to one topic, the woman will reason with emotional n when run out of reasoning will just use things totally out of focus n totally unfair to the subject matter to refute. My comments is not strictly to u. I did not criticize u. It just waste some of time here. I m too logical to that. But when I care, I do not see it as time wasting. If u think that I m critical to u n only cause much hurt n does not salvage the situation, I apologized. I m sorry. I promise from today, I will not do it again to u as in comments. this is the last. However I will continue to write what I want to convey here to my peers. If I only want to write what many like to hear in this blog, then I see no point in continuing. I dunno. Yes most time. We will always think that we are correct. In fact, we really correct? For investing matters, most of us will think we are correct; otherwise, why do we bother to invest, to hold or to keep more cash. When will we know we are correct? When we retire without active earned income or we decide to stop investing anymore; then we will be quite sure with fact on hand to know whether we are really correct. Tio bo? U r right! I still rem either u or SMOL says the only perspective of going up hill and going down hill is so different. Human beings are inherently simple, that is why we r born innocent. it is the system we lived in today with all the distractions of money n power that are complex. For me I m certain that I m right when we drill back to the core n fundamentals of evil or good within humans. The blindly chase of money is bad irregardless of what is the reason behind unless that enlightenment day came n give back so much to balance the forces of evil n good. I dare to challenge on any person u can name who is very rich but care only about himself who is having a good life for a long long time. Even the not so rich who only care about earning money will suffer. the repayment will not come in the form of money alone. Ur relationships can suffer, illness, unhappiness or payback in ur next generation if u r only about money. Just look at people around. I had so many examples seen of illness not truly cured by doctors but via the repenting n acknowledgement of the sicked, and due to the love of the people around that led to finally enlightened in life. The blinded selfishness irregardless of whether u say u never do anything evil is also bad. Bcos this world is about pple around us. Ur selfishness towards a stranger will also lead to selfishness towards ur Frds. It becomes a character n that is bad. U will suffer in other manners if not bankruptcy one day! For money fame power which is within the complex system of today, then I have no comments on right or wrong. That was created by the inherently bad n hence it is complex! We still need the resources (money) to counteract the complex system of today.. that is why there r still good rich people.